(Verb) To make a journey between home and work. Example: Jim commutes to Manhattan every day. (Noun) The journey to work each day. Example: My morning commute takes 45-minutes. 1. A move to a more important job or position in a company or organization. Example: Your promotion to Senior Editor is now official. 2. An activity intended to help sell a product, or the product that is being promoted. Example: We are going to hold a Winter sales promotion. 3. The activity of persuading people to support something. Example: Next month will be the promotion our Summer range of clothes. (Noun) Careful and thorough examination of someone or something (usually to try to find mistakes). Examples: Careful scrutiny of the company's accounts revealed a whole series of errors. The employee was under scrutiny. (Noun) - facts or signs that show clearly that something exists or is true. Example: At present we have no evidence of life on other planets; Do you have evidence that this treatment works? (Verb) - to show that something exists or is true. Example: The volcano is still active, as evidenced by the recent eruption. Did you know...? 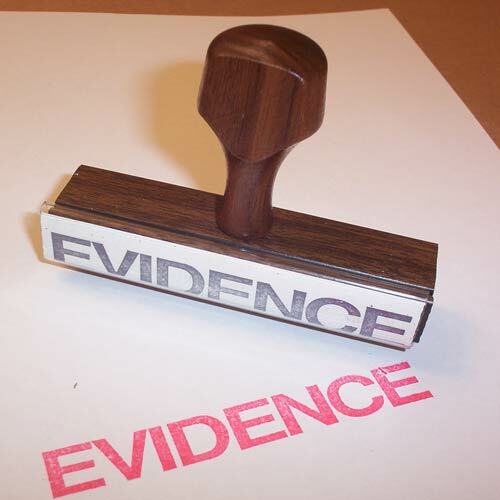 The word 'evidence' was in the Oxford Dictionary's top 150 most-viewed words last year.